Midnight Madness is an exhilarating, challenging, interactive and immersive experience where the best of the best compete with one another to complete the Midnight Madness puzzles in the shortest amount of time. Think the Crystal Maze meets immersive theatre with London as your stage. It gives you the chance to have the experience of a lifetime whilst helping those that need it the most. Coming to London on the 19th May 2018, Midnight Madness is a series of cleverly camouflaged, incredibly ingenious and devilishly difficult puzzles – the answers to which indicate the location of the next puzzle, and so on, until the finish line. Teams will compete all night, hunting for, solving, and executing puzzles embedded in the urban landscape of London. The winning team will be the first to cross the finish line. The Event is based upon its highly successful namesake that took place in New York in 2015 and raised $3.1m for charity. Both creators of the New York version, Mat Laibowitz and Elisha Wiesel are fully on board with the London 2018 version. We thank them for their advice and guidance. “You’re not just behind a desk; You’re not running some marathon course that everybody else is running; You’re not just sitting at a high society dinner; You’re out in the world being an intellectual athlete.” @ Elisha Wiesel Chief Information Officer Goldman Sachs Elisha was the producer of MM NY 2012-2015 and was an active co-creator of the game’s content, including puzzle design. He designed the fundraising model and was integral in raising the $7.5m+ raised by MMNY over 3 years. 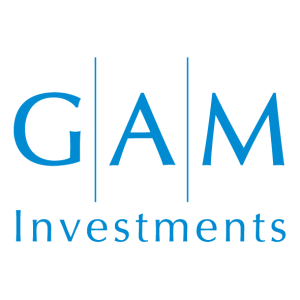 GAM is one of the world’s leading independent, pure-play asset managers. It provides active investment solutions and prod­ucts for institutions, financial intermediaries and private investors. The core investment business is complemented by private labelling services, which include management company and other support services to third-party institutions. GAM employs over 900 people in 13 countries with investment centres in London, Cambridge, Zurich, Hong Kong, New York, Lugano and Milan. The investment managers are supported by an extensive global distribution network. Headquartered in Zurich, GAM is listed on the SIX Swiss Exchange and is a component of the Swiss Market Index Mid (SMIM) with the symbol ‘GAM’. The Group has assets under management of CHF 131.3 billion (USD 137.1 billion)*. *Source: GAM. Data as at 30 June 2017. There is an injustice in the charity sector: it is not a meritocracy. The top 1.2% of charities in terms of turnover receive 72% of the money donated in the UK*. One assumes that money would flow to those that were most in need. However there are hundreds of exceptional small charities that struggle for funding simply because they don’t have the time or resources to fundraise effectively for themselves.  Raise Your Hands finds small effective charities working with children across the UK, conducts due diligence on them, monitors them and raises money for them. The RYH charities are specialists in their areas, helping children with HIV, children at risk of suicide, children that have been bullied and children that have lost parents, amongst others. In 2016, over 85,000 young people across the UK accessed the services of the RYH supported charities. By participating in Midnight Madness, you are supporting the under dogs of the charity sector in the UK, easing their fundraising struggle, and enabling them to focus on what they do best: improving the lives of disadvantaged children across the UK. To express your interest for the 2019 event, please go to the 2019 site where there is a form which you can complete. You can view photos from the 2018 event on the gallery page.